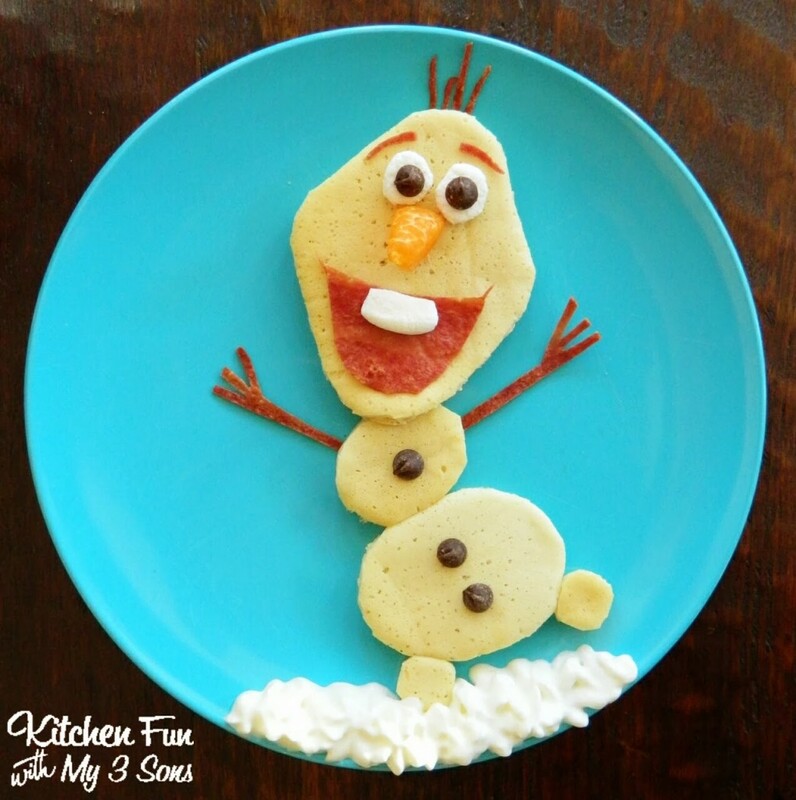 We created this fun Olaf Pancake Breakfast from the new Disney movie Frozen for my 3 year old yesterday morning. 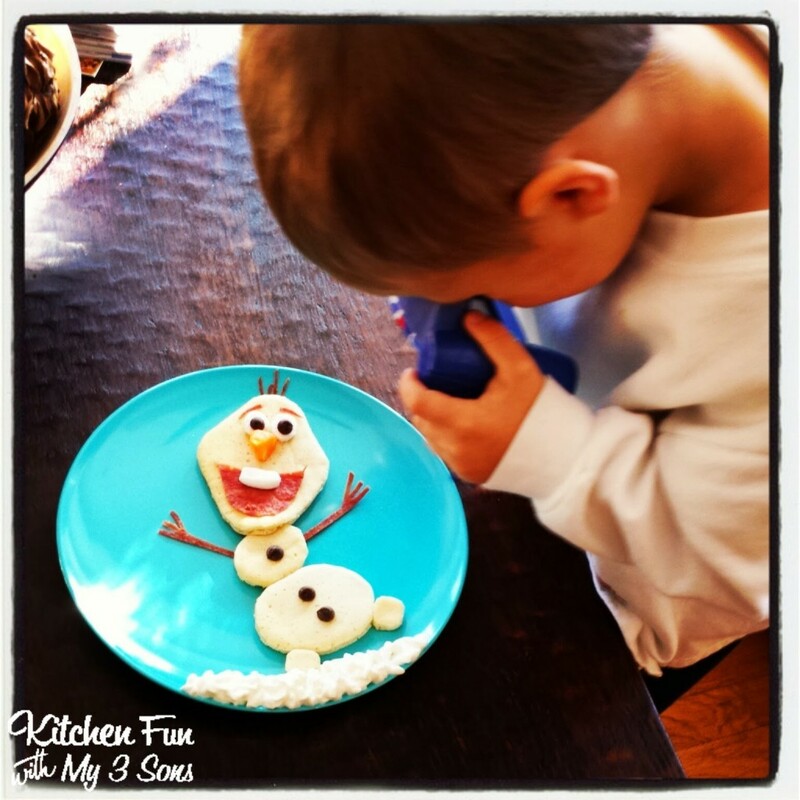 He loves Olaf & just loved this breakfast! It’s really a great movie & you should definitely go & see it if you haven’t already. 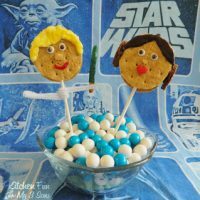 You should definitely make this for your little Frozen fans & will totally love this breakfast..trust us! Start out by making your pancake shapes in a pan over low heat. They do not have to be perfect. We cut our edges using kitchen scissors. Place your shapes on a plate like our picture. Cut the ends off of the marshmallow. Cut out the teeth from one ends & the eyes from the other end using kitchen scissors. We made our bacon in the microwave & then cut out the mouth, arms, & hair. Add on the chocolate chips for the buttons & pupils. Cut off the end from a clementine slice for the nose. Add on whipped cream for the snow. 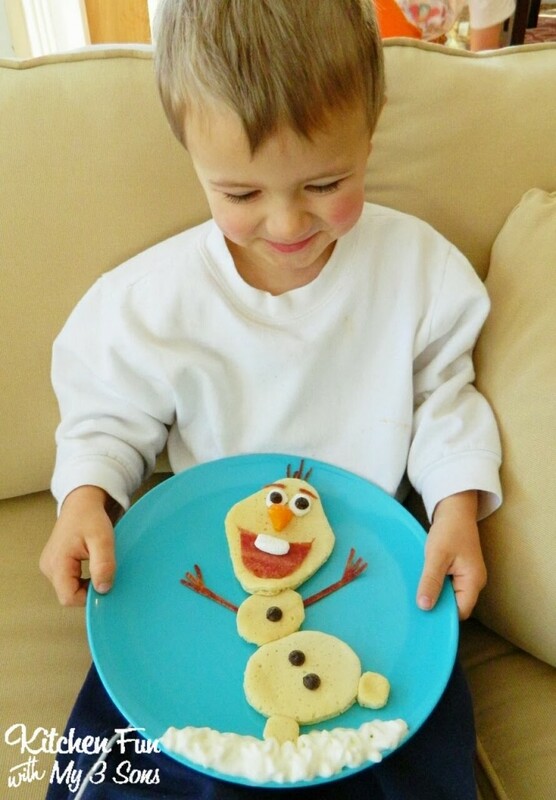 He was SO excited to get his Olaf Pancakes & couldn’t stop smiling at it! 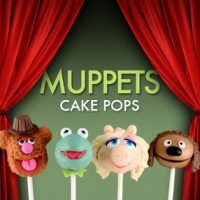 You can view all of our other fun food Disney creations HERE! 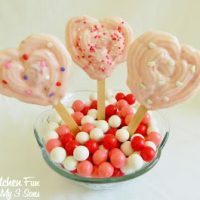 « Previous PostEasy Valentine Dog Cupcakes with FREE Printables! Next Post » Star Wars Yoda Cupcakes for Valentine’s Day including a FREE Printable! That's so cute! <3 Your son is so lucky to have such a creative mother! Only you can make Olaf even cuter! It's too cute to see your son taking pics. I love how involved they are in your blog. Your pancakes are absolutely adorable. Pinning. fun! love your little guy is in on the action!! I love this! Olaf is so funny…the name reminds me of Count Olaf of course! Awe, my kids would LOVE this! Thanks!!!! Ha! How fun!!! I bet this made the pancakes even more delicious!! So cute!! I hopped over from the Sew Can Do linky. I pinned this to my Disney Dreaming Board.